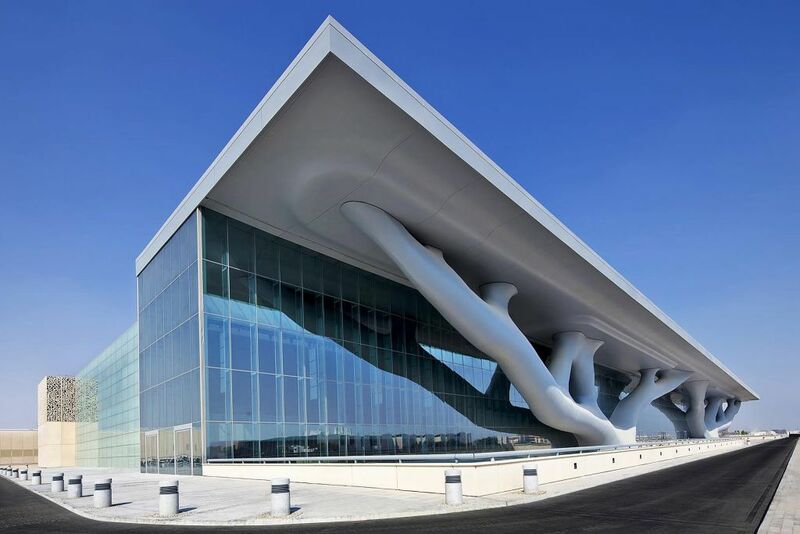 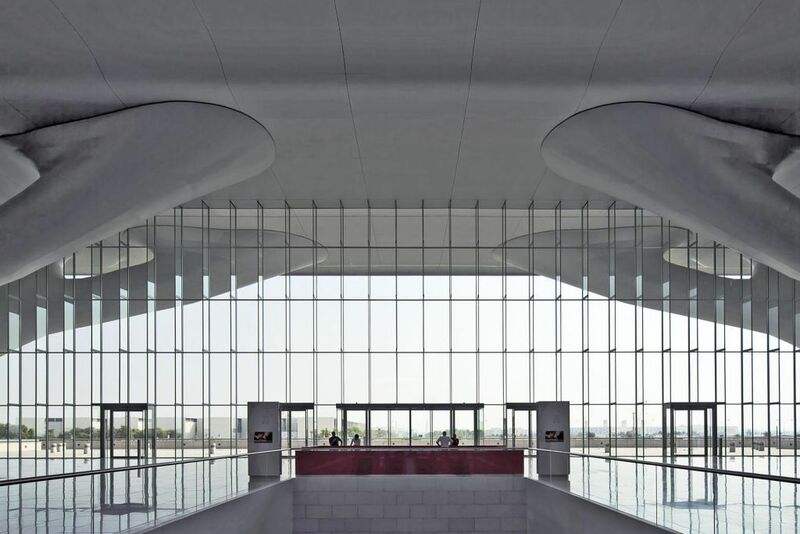 The Qatar National Convention Centre is part of the Qatar Education City complex located in Doha, Qatar. 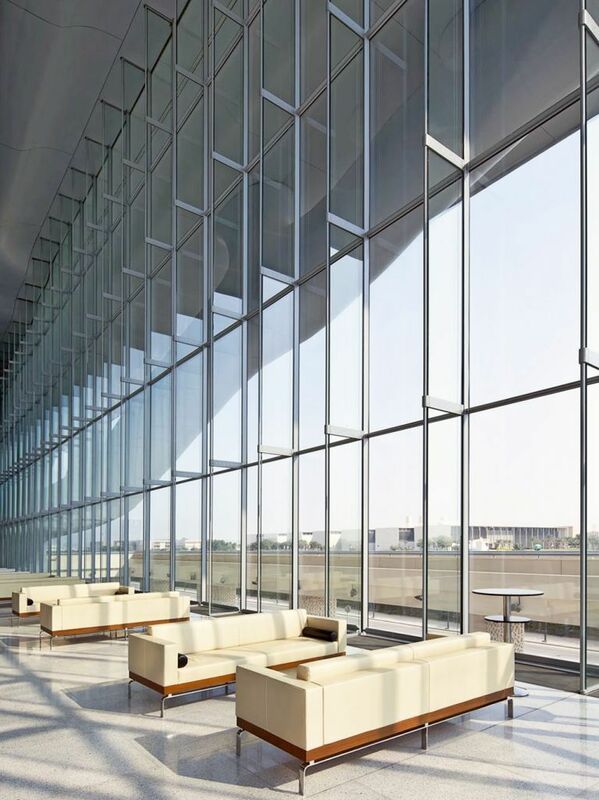 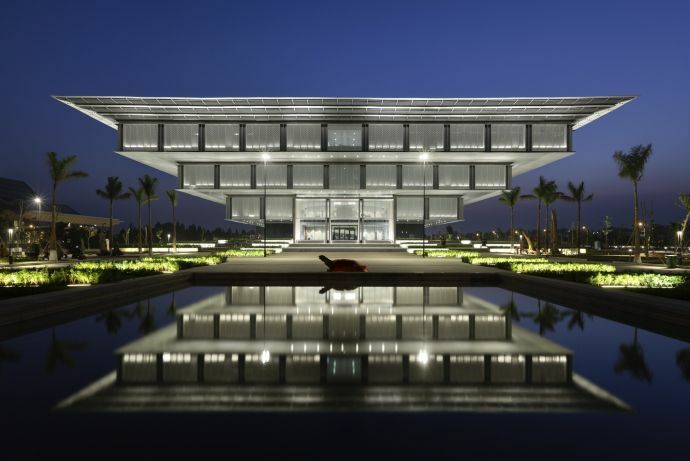 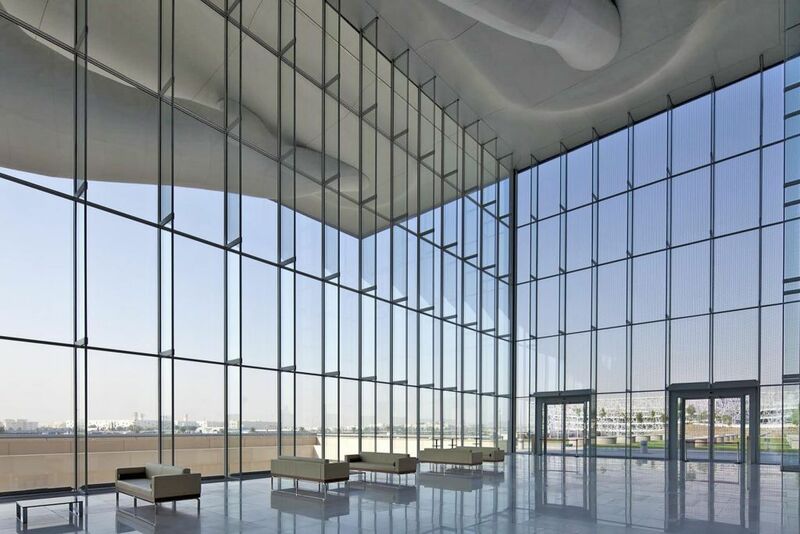 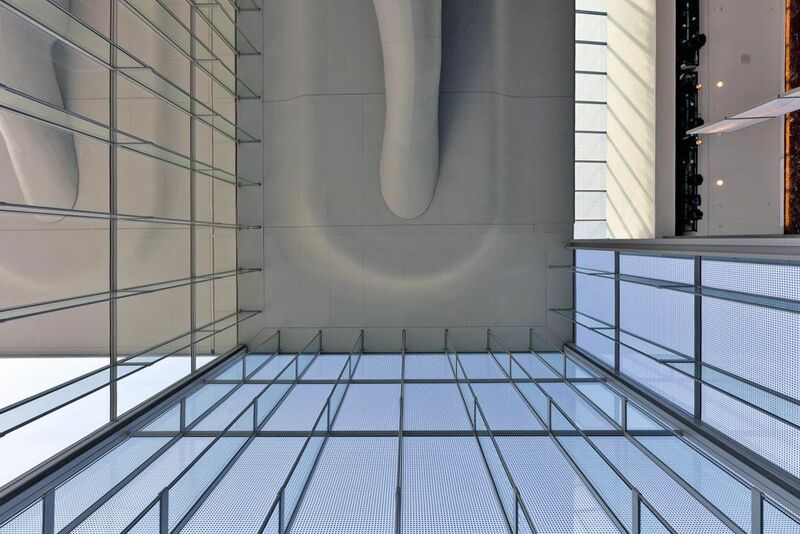 The south side of the building is a combination of a steel structure (Sidra Tree with roof) and a transparent facade with alternating 800 mm and 180 mm glass fins every 2 meter. 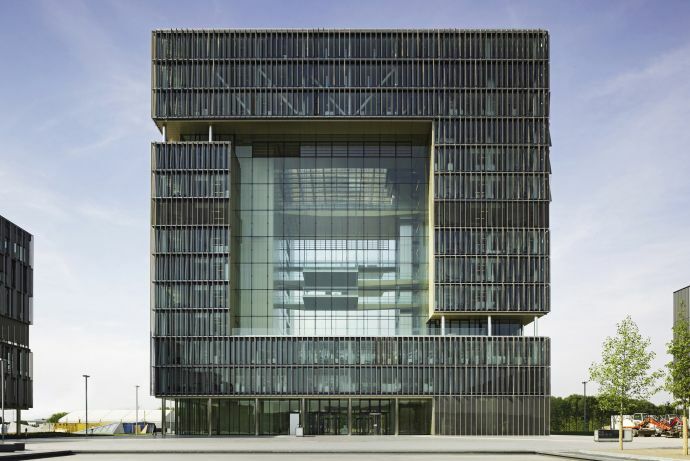 The facade is 250 m long and 20 meter high, with 15 meter returns on the east and west side. The other façade types are steel mullion/transom facade with silicone joints.